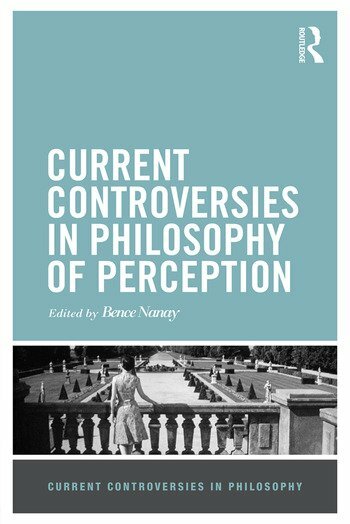 This book provides an up-to-date and accessible overview of the hottest and most influential contemporary debates in philosophy of perception, written especially for this volume by many of the most important philosophers of the field. The book addresses the following key questions: Can perception be unconscious? What is the relation between perception and attention? What properties can we perceive? Are perceptual states representations? How is vision different from the other sense modalities (like hearing or smell)? How do these sense modalities interact with one another? Contributors are Ned Block, Berit Brogaard, Alex Byrne, Robert Kentridge, John Kulvicki, Heather Logue, Mohan Matthen, Bence Nanay, Matt Nudds, Casey O’Callaghan, Adam Pautz, Ian Phillips, Susanna Siegel and Wayne Wu. Part I: Are perceptual states representations? Adam Pautz: Experiences are representations: An empirical argument. Heather Logue: Are perceptual experiences just representations? Part II: Is perception thin or rich? Susanna Siegel and Alex Byrne: Rich or thin? Matthew Nudds: Non-visual senses: The distinctive role of sounds and smells. Mohan Matthen: Is perceptual experience normally multimodal? Part V: Is attention necessary for perception? Wayne Wu: Attention and perception: A necessary connection? Part VI: Can perception be unconscious?